HUBBARD - Reverend Daniel Kulesa passed away on Saturday, Jan. 12, 2019. He was 82 years old. Father Kulesa was born on Nov. 4, 1936, in Masury, the son of Joseph and Claire Sniadach Kulesa. He attended Sacred Heart School in Sharon, Pa. and Ursuline High School, prior to entering St. Mary College in St. Mary, Ky. where he completed high school and college, earning a degree in philosophy. He completed his theology studies at Mount St. Mary Seminary in Cincinnati. He was ordained May 26, 1962, by Bishop Emmet M. Walsh at St. Columba Cathedral. Following ordination, Father Kulesa served as associate pastor at Youngstown St. Edward Parish. In June, 1966, he joined the faculty of St. John High School in Ashtabula. During that time, he was also administrator of Sacred Heart Parish, Rock Creek, for six months. In May, 1972, Father Kulesa was named associate pastor of Warren St. Pius X and two years later became pastor of Ashtabula St. Joseph. He served there for nine years before being named pastor of Canal Fulton Saints Philip and James in July, 1983. In August, 1995, he was named pastor of Our Lady of Perpetual Help in McDonald. He retired on July 1, 2006. While in Ashtabula, Father Kulesa was chaplain to the Catholic Daughters of America and served on the county board for mental retardation and developmental disabilities. He served on the Metropolitan Housing Authority and on the Ashtabula/Trumbull regional Catholic board of education. Father Kulesa was a coordinator for marriage preparation programs in Trumbull County. He was a member of the Priests’ Personnel Board, a chaplain to the Knights of Columbus, and a member of the diocesan Marriage Tribunal. Father Kulesa is survived by his sister, Bernice White of Hermitage, Pa.; two nieces and two nephews; two great-nieces; and four great-nephews. He was preceded in death by a sister, Mary Ann Butryn. 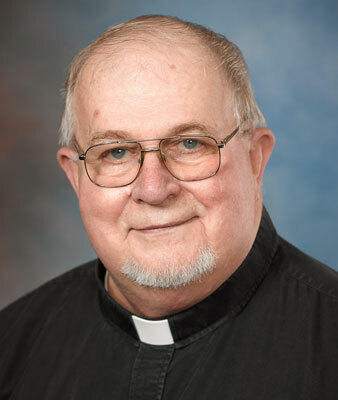 Father Kulesa’s funeral Mass will be celebrated on Thursday, Jan. 17, at 10:30 a.m. at Our Lady of Perpetual Help Church in McDonald, with viewing from 9:15 to 10:15 a.m. Calling hours will occur on Wednesday, Jan. 16, from 4 to 7 p.m. in the church with evening prayer at 7 p.m.
Father Kulesa will be laid to rest at Brookfield Cemetery. In lieu of flowers, material tributes may take the form of donations to the Catholic Charities Regional Agency, 319 W. Rayen Ave. in Youngstown.